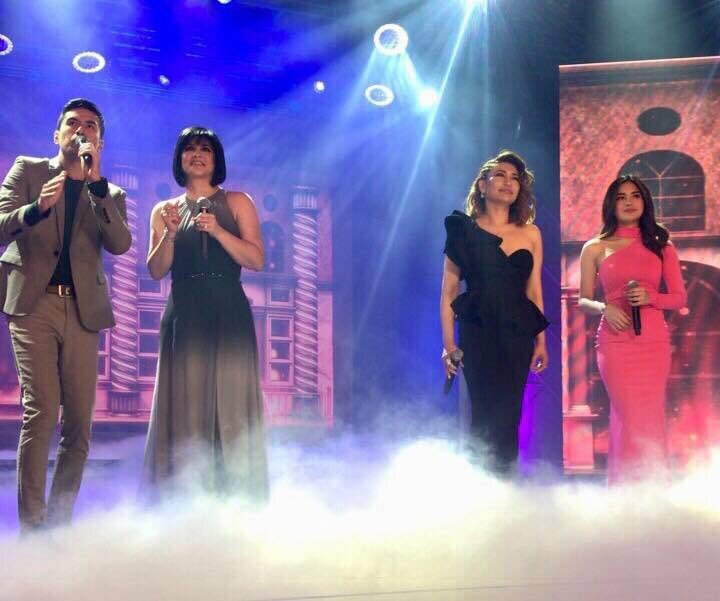 REGINE VELASQUEZ is understandably excited with the start of “The Clash”, GMA-7’s new reality show and talent search, this weekend. 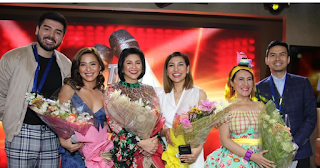 It will replace two shows, “Celebrity Bluff” hosted by Eugene Domingo and “Lipsynch Battle Philippines” hosted by Michael V.
Joining her in “The Clash” are Ai Ai de las Alas, Lani Misalucha, Christian Bautista as judges-mentors, along with Andre Paras and Joyce Pring. Lani, last seen on ABS-CBN, is thrilled to be back with GMA-7. Ai Ai, in turn, says that the show is a confirmation that she belongs to the league of Regine and Lani. “It’s an honor na mapasama ako sa kanila bilang pare-pareho kaming magagaling kumanta,” she adds. “Ang dream ko ngayon, mabigyan sana kaming tatlo ng special number na sabay-sabay kaming bibirit para lumabas na ang totoo kung sino sa amin talaga ang dapat na tawaging Asia’s Songbird and Nightingale. O sana naman, walang kumontra diyan. Pagbigyan nyo na ako,” she laughs. “The Clash” is directed by Louie Ignacio. The contestants are called clashers. There will be 14 clashers from Metro Manila, 6 from Northern Luzon, 12 from Central Luzon, 7 from Southern Luzon, 9 from Visayas and 10 from Mindanao, plus 4 more international clashers from different countries. Don’t miss the opening episode this Saturday, July 7.